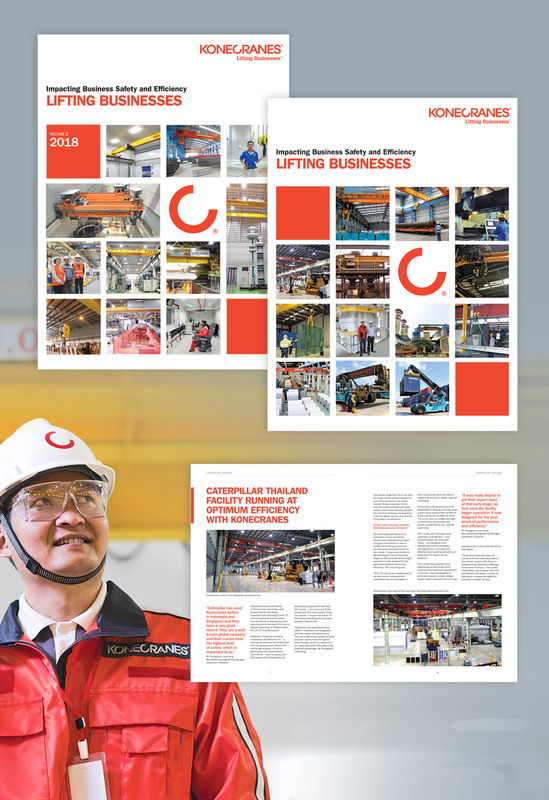 A 28-page corporate brochure featuring the many testimonials of how Konecranes' products have impacted the efficiency and safety of businesses in Southeast Asia. We framed the endorsing stories with Konecranes' established brand values and tone, finding the right visual balance and interests. Our good work has rewarded us with continuing work on subsequent issues.